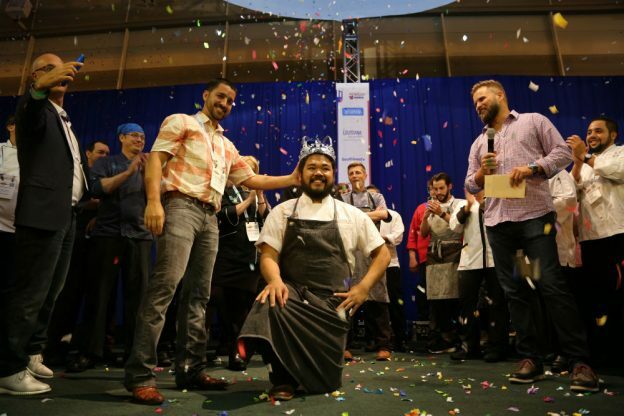 The Great American Seafood Cook-Off is an annual event that pits the nation’s best chefs against recognized culinary greats from around the United States. For the past 14 years, chefs have been creating unique dishes using seafood indigenous to their state. This year, the great state of Alaska captured the crown. Chef Lionel Uddipa of Juneau, Alaska, won the title with his “Sea Asparagus Risotto with Alaskan King Crab”. Thirteen chefs competed and created some amazing dishes utilizing fresh seafood. We were proud to be a part of organizing this fantastic event and can’t wait for next year!